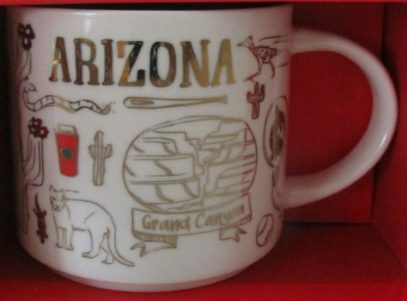 Starbucks Been There Christmas Arizona mug reveals some interesting details. 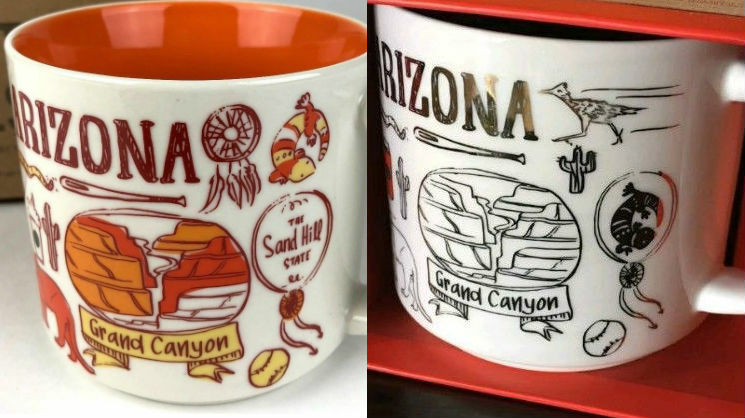 Take a look at the image below, where I compare the BT Arizona and it’s Holiday Edition. See how “The Sand Hill State” nickname was replaced with a lizard (I was not able to identify which exactly that one is). And the reason for this change is the numerous complaints from Arizona residents who refused to accept this design. Apparently it went viral and Starbucks decided to update the mug, to make everyone happy. Does it mean, the regular mug is going to be changed too? Let’s wait and see!